Emen.us Point of Sale by Open Interface INC | 417-231-2500: Who is Open Interface INC? | What is Open Interface POS? Who is Open Interface INC? | What is Open Interface POS? "Just like Uber took over the taxi industry, and Redbox took over the video rental industry, so will others come that take away local business if we don’t level the technology playing field. Locals need technology. That’s what I’m here to help,” says startup founder VJ Smith. There is a definite gap in the market between the big fish and the small fish, and the gap is getting bigger. Big Data Mining is being leveraged in favor of pro big business. Locals suffer. All over, small businesses are failing. It is because they are not using technology. They do not have the same tools that the big fish do. They are cut off from their customers, and their customers are shopping at the larger brands. VJ Smith, CEO of Open Interface INC, believes that the problem is with the Point of Sale. “In order to get new customers in the door, you have to reach them where they are at. They are on their phones,” states VJ Smith of Hollister, Missouri, USA. VJ claims that the Open Interface POS will sync with the latest technology to give businesses what they need to compete fairly in a market place, allowing the big fish, small fish, fast fish, and slow fish, to swim freely. “It’s a solution to a problem. It’s the start of something big. Giving businesses back their freedom. Getting them out of a monthly fee. Protecting their customer data. This is where it starts,” claims VJ Smith. 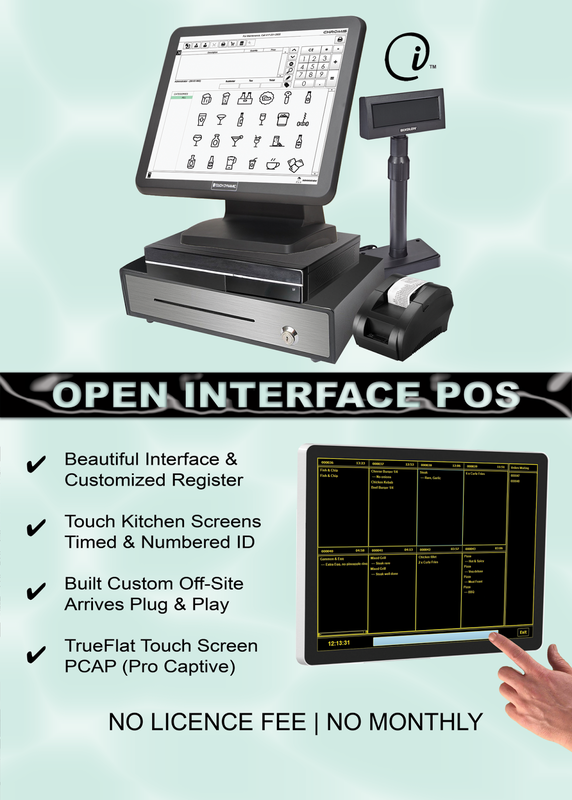 The Open Interface POS seems like any other Point of Sale System. The difference is, it’s custom. It sends orders to kitchen screens, focuses mainly on touch technology and simplicity, and is the first of it’s kind to skip the bump bar and second computer, operating from a closed circuit system. Q: There is an Open Interface in China. Is this the same company? A: No, it is not. That is a different Open Interface, who was purchased by Quailcom, and invented bluetooth. Q: How do I purchase Open Interface POS? A: It’s best to request a quote from the website, Emen.us. These systems are built custom. Your unique system will need a custom quote. Q: Where are Open Interface POS Systems made? A: They are made in Hollister, Missouri, USA. Everything is made in the USA, and custom built before shipped. Q: Why should I choose to build a custom Open Interface POS, as opposed to using a popular brand, like Toast, Micros, or HarborTouch? A: Micros has a very large licensing fee and equipment buyout or lease; and Toast has a monthly fee with a 3 year contract. Open Interface INC is so affordable you can get it with one payment, and own your own equipment, with no licensing fee. Q: Why should my new restaurant I’m building purchase a custom system from Open Interface INC? A: Open Interface INC is a small technology company that services both large and small companies, catering to both corporate chains and also small local shops. The purpose of brands owning their own technology is mainly to avoid the parasite type behavior of the leading POS providers, that include data mining, monthly fees, locked credit processors, etc. 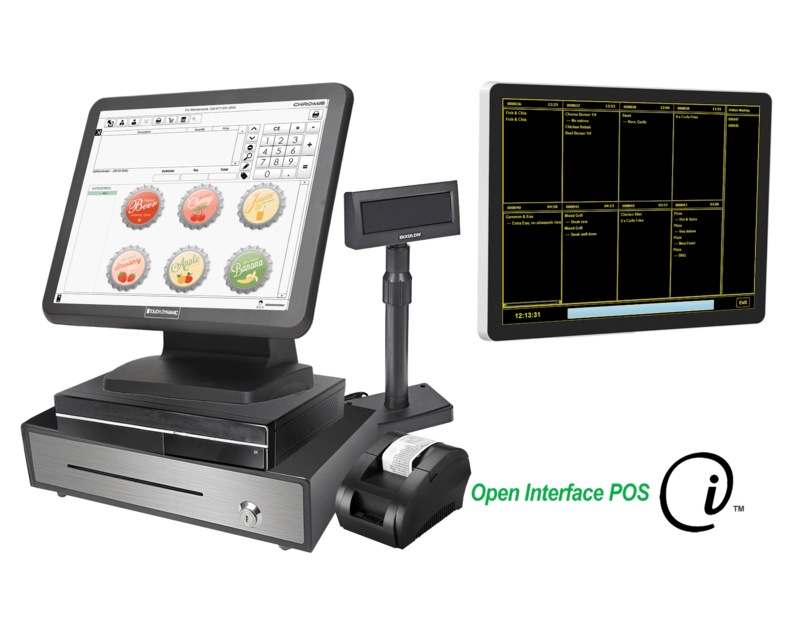 Open Interface POS is a one time payment, open to your own credit card processor, no lease, no licensing fee, and a closed circuit system where your data is safe. You have complete ownership of your equipment. Q: How does Open Interface POS work? A: It works from the Smart Box, an advanced custom built Point of Sale computer created by Open Interface INC that syncs with all touchscreens in the restaurant. A: Yes. Full employee video training is provided for no additional charge. Q: Is my equipment warrantied? A: Yes, all touchscreens come with a 3 year warranty. Smart Boxes are warranted by default with the backup computer. Q: Does Open Interface INC sell anything else besides Point of Sale Systems? A: Yes, our main business is Point of Sale. We also provide full and complete restaurant branding and public relations, as well as adhesive sign vinyl printing, window printing, and drive through printing.